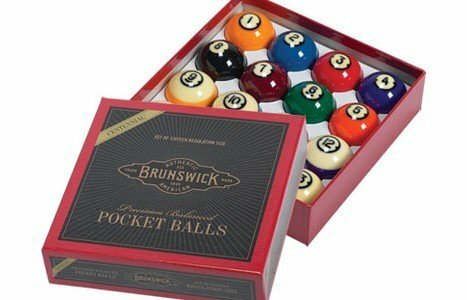 Centennial® Premium Pocket Balls are the standard of excellence in the industry. Made with premium-grade phenolic resin, Centennial® balls are ground and polished to exacting radial tolerances of 0.001 of an inch for absolutely true and accurate roll. Components are solid cast and "vitrified," or heat fused, for a homogeneous molecular bond. A translucent ivory hue, lustrous color, and a unique "dart" identify Centennial® Balls. With resiliency and balance that allows hairline accuracy, and with numbers and colors that will not rub off, spot, or fade, Centennial® Balls are superior in both playing quality and appearance.